Hey there! I found PARPG through your post on gamedev and would be interested in joining the project as an artist. I'm a long time fan of RPGs and the post apocalyptic setting in general (Fallout, etc) and I'm looking for a project to expand my skill set and build my portfolio on an actual game. I'm attracted to PARPG not only for the setting but also for the obvious attention to detail, planning and realistic goals. My previous experiences with modding/indie games has been with people that either don't have a clear plan or have unrealistic expectations, and I'd like to avoid those headaches this time around. I'm also looking for an active project, not one that has 1-2 semi-active people that rarely make progress. A bit about me: I'm 33, live in the southern US and work days as a building contractor and remodeler. I'm a lifelong gamer, starting with the Atari 2600 in 1982 and have been doing PnP RPGing for nearly as long. I've been working with 3D off and on for about 10 years, but only seriously for the last two or so. I work mainly in 3ds Max, Zbrush and Mudbox, but have some experience with Maya, XSI and Modo. I unfortunately have no experience with Blender, which I see is the app of choice here, but I'm sure I could learn enough to convert models over if need be. My focus is mainly environmental art (props and architecture), though I have some limited experience with characters. I also do a lot of digital photography for texture sourcing. As I stated above, I'm looking for a stable project (which this seems to be) and am willing to put in plenty of time to contribute as much as I can. I believe that progress breeds progress, so hopefully anything I can produce will help inspire other people to produce as well, and vice versa. I see that IRC seems to be where all the action is, so I'll hop on there when I can and see how I can get involved. I'm currently tackling a plumbing problem under my house, so it will probably tonight or tomorrow before I can get on. Until then, here's a link to some of my stuff if anyone is interested. 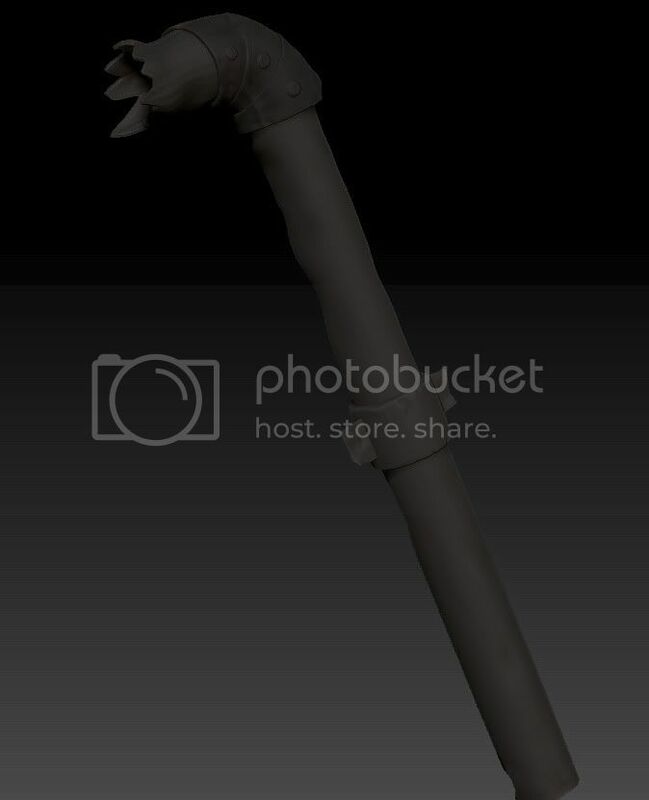 Screens from Zbrush, doesn't have the valve handle and stem (they're built in Max, just a bit delicate to hammer on). 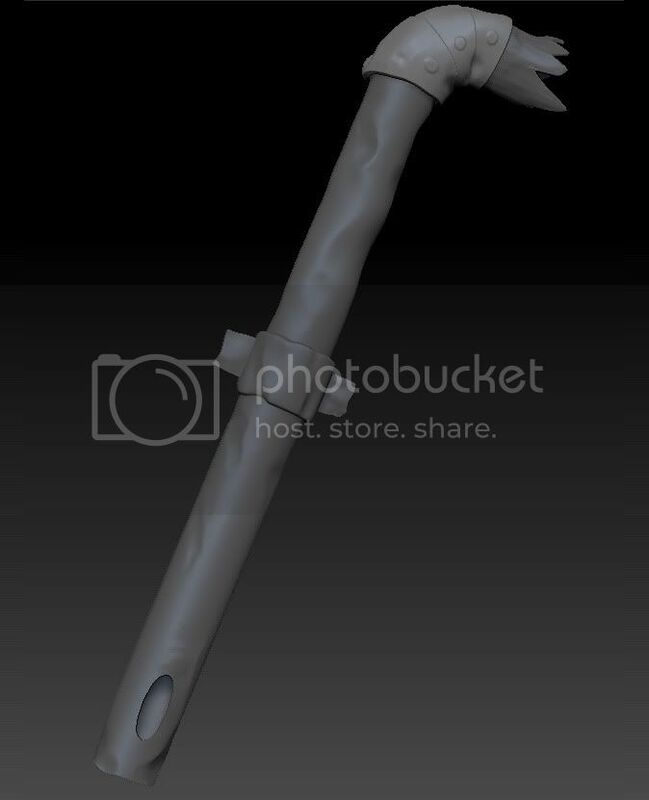 Just took it into Zbrush to beat it up a bit. Hopefully will have it textured and rendered in iso tonight. Hallo Artifice, welcome on board. Nice work on the pipe you show. I'm happy to see an environmental artist here: I'm currently tackling environement and I applied as a character modeller/animator, so go figure.. This contains a list of the art we need for our first techdemo. You'll see the buildings we currently have are made with one huge sprite, and different building stores are to be set in separate maps.. In the current game version we can already make modular wall pieces with a first floor in the same map the building is, or so I hope/think. As soon as I finish the front gate I'll give a try to modular walls. To make a long story short: if you want to give a try..
As a side note: don't worry about Blender, we have a rendering setup which can be applied to different tools.. Personally I'm a XSI user, for example. Anyway, enjoy your stay and welcome again. Sirren and Gaspard are our oldest and most active artists here (and some others like Zeli Comscar and a few more are active every now and then). One word of advice - don't get into a situation where you feel burned out or demotivated. I'm also looking for an active project, not one that has 1-2 semi-active people that rarely make progress. Or just in general, so that we have enough artists who can help with the visualization, since people always can be busy in reallife all of a sudden. Hah, I am sure you get along with zenbitz great. He is the grandfather of PARPG and there is not much he hasn't seen before yet! I see that IRC seems to be where all the action is, so I'll hop on there when I can and see how I can get involved. Ah, not entirely true. It really depends on what you prefer. True, IRC helps a lot with fast communication, but take sirren - he is very active and only rarely uses IRC. I think you have to find out on your own how you want to participate, IRC can take quite a lot of time away. I'm currently tackling a plumbing problem under my house, so it will probably tonight or tomorrow before I can get on. Until then, here's a link to some of my stuff if anyone is interested. In general: look around, have some fun browsing forums and wiki, chat on IRC. Wow! I crawl up from my basement to find quick replies and a warm welcome! Thanks so much. Sirren: Hopefully I can take some of the workload off you and let you get back to characters. Q_X: Thanks, I'm glad to be here! Shevegen: I understand what you're saying about burnout. In all honesty, I do have a fairly hectic life between work, personal projects and family. I'm certainly not in a position to put everything on hold to work on a game, but I do expect to spend nights and weekends on it when I can. The other side of this is that art, 3D and games are something I feel very strongly about, and if I don't sit and do it I'll never get better at it. If anything PARPG is a great motivator to make me sit down and work at it instead of surfing the web or watching movies. I'm still not up to speed with all the aspects of the game, including the rendering/graphics process. One downside of having everything mapped out is that a new guy has to read through it all I'm sure it will take a few false starts and some Q&A posts to really get going. I looked through the assets needed for the Techdemo1 and most of it seems like stuff I can do. The pipe weapon I did up was really just a fun thing to play with and show off. I'll start in on some needed assets this weekend and figure it out as I go. Thanks again for the welcome and I look forward to getting started. Good point, didn't think about that. On IRC it is quite a lot easier to "get going" rather than using "only" the forum. Heya artifice, welcome on the forums :-) Great to have you around. Kudos for your rather detailed introduction, I really like it when new devs don't mind to talk a bit about their background so we can get an idea who they are and what kind of tools they're used to. One last pointer: the best starting point is usually getting the latest version of PARPG running on your system. There are a lot of good starting points and articles to read at the wiki but nothing gives you a better first impression of the project than testing it yourself. Hey all. Sorry for going missing over the holidays... between family stuff and getting back to work, I haven't had much free time. Hopefully things will clear up this next week and I'll be able to get back to some art for the Tech Demo. When I left off I was working on the tiles for the parking lot and will hopefully have most of that taken care of by next weekend. After that I'll start looking at what else we need to actually finish out the Tech Demo. If there's and pressing requests, feel free to let me know. There are not really any "pressing" needs per se, but let's be honest here - right now we are a bit inactive. Or in other words we miss barra a lot and zenbitz. Barra probably has no time right now due to studies, zenbitz is away for a week on a seminar or some such. Kaydeth is missing as well. People making a break is no real problem per se, so welcome back! I am actually around, but my lap top with PARPG checkout and such is in the shop getting a new superdrive. I think what we need now is some kind of working demo map so we can put things in it. Hey Artifice, do you think you may squeeze in a bit time to come to a bigger IRC meeting? Date isn't yet decided, I am just trying to screen through who can be slightly more active. I'll also PM you just in case. I have no idea which other modellers are still active - possibly sirren, whom I will send a PM as well.